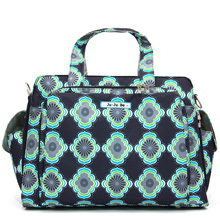 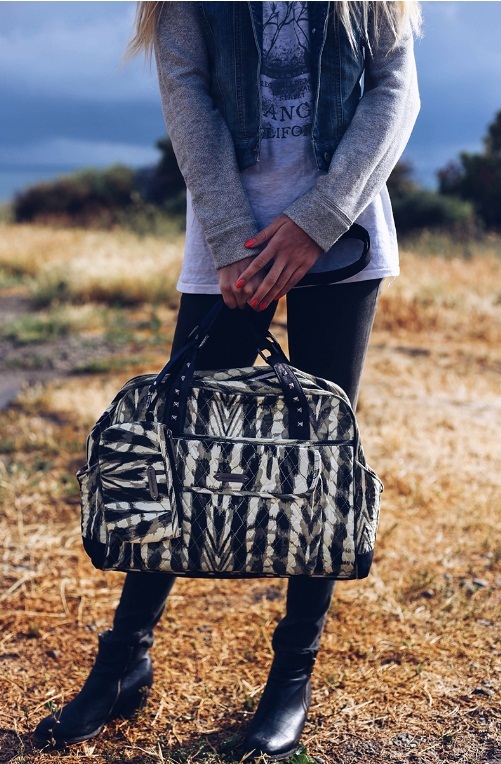 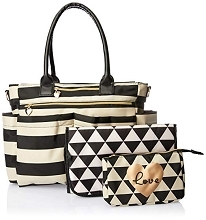 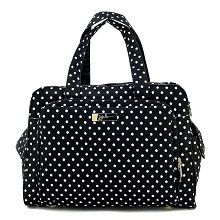 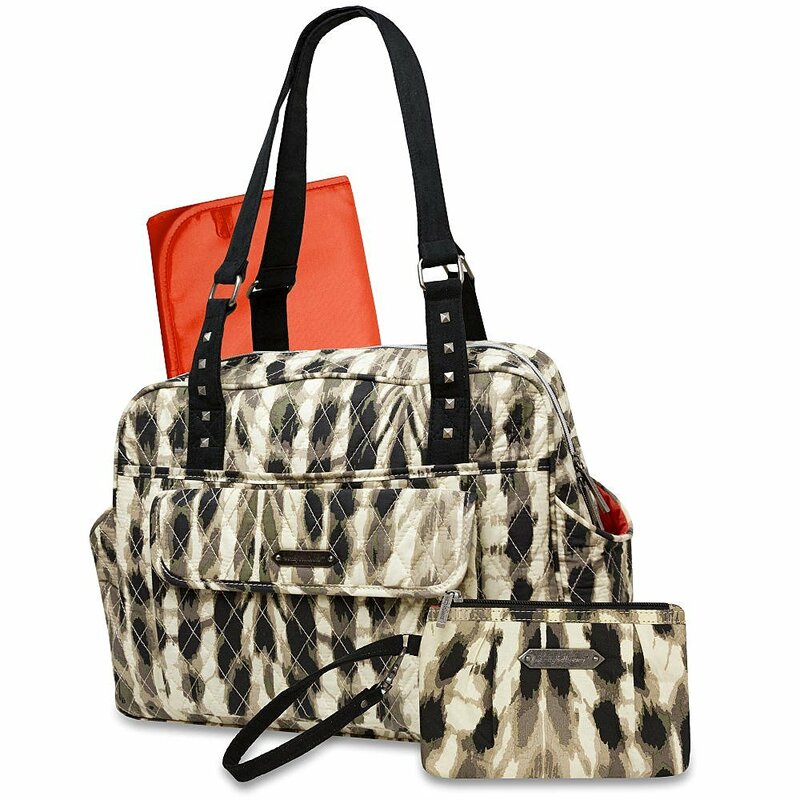 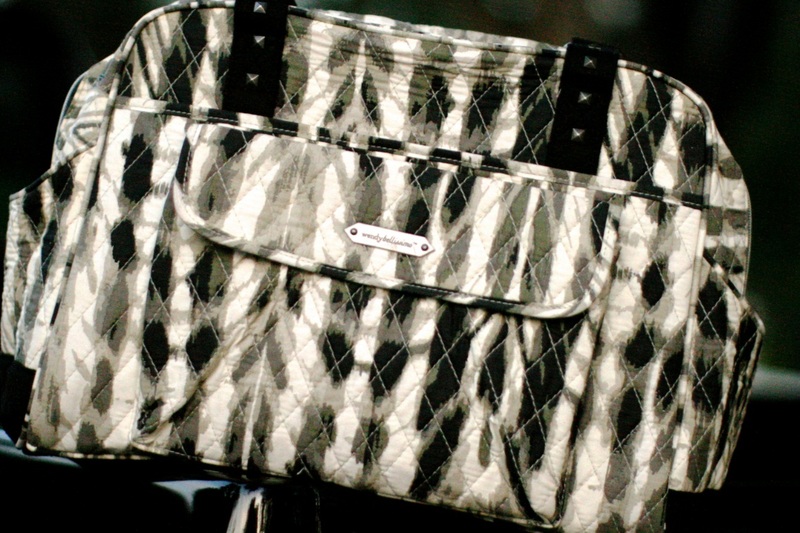 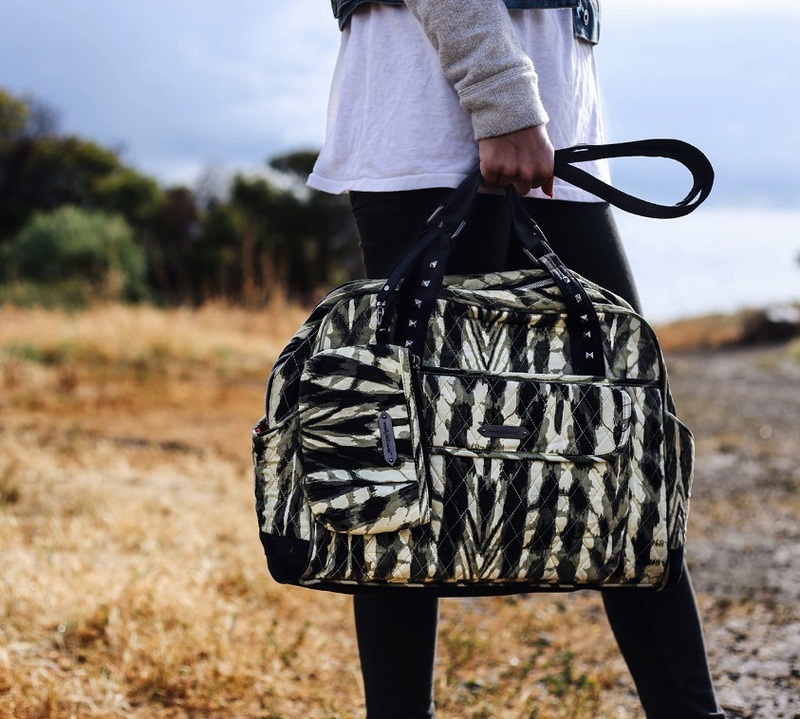 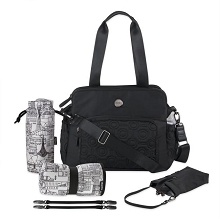 The Wendy Bellisimo Wanderlust Tote Diaper Bag has an abstract feather print that is perfect for today's fashion forward mom. 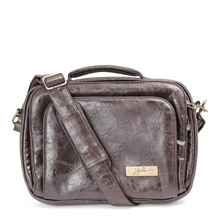 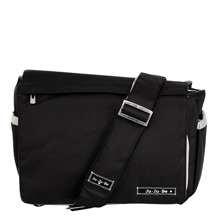 It features a softly quilted body with black faux suede trim and beautiful antique silver hardware. 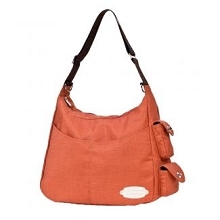 Seven interior pockets, four exterior pockets, generous opening and extra-roomy interior in vibrant orange. 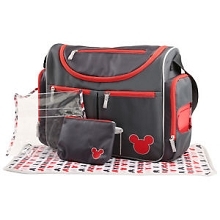 Changing pad included.